I wrote a piece of pride after my visit to Cape May about how I think New Jersey should quit looking across the rivers for a sense of identity. I brought up the fact that the Jersey shore has the second largest casino town in the country, and now I’m going in for a closer look this upcoming holiday weekend. 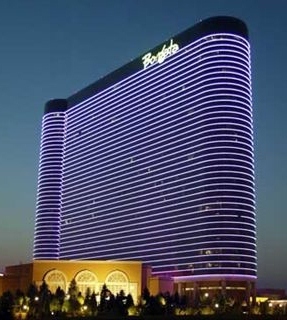 I’ll be staying at the Borgata and wandering the casinos, taking in their beautiful designs, but this trip will be about far more than gambling. People are quick to compare the town to Las Vegas – and I’ve met Vegas groupies who cringe at the very mention of Atlantic City in the same breath as the City of Sin – but having been to both I can tell you that they’re two different experiences. We’ll talk more about it after the conclusion of the Coolest Road Trip, which ends this Monday. Remember to enter once every 24 hours to win a road trip of your own – weekend getaways in the four Coolest Small Towns.